In February, Akron Promise, in partnership with The Stark State Foundation, announced a scholarship to benefit TEN 2018 Kenmore-Garfield High School graduates. The Stark State Foundation will match donations to Akron Promise up to $10,000 to fund these scholarships. The scholarship will cover books, fees and tuition that is not covered by other aid. It is renewable for two full years – enough to earn an industry certificate or associate’s degree. This is where YOU come in! Akron Promise is hosting TWO fundraisers on July 14th, 2018. First will be a golf outing, from 9:00 am to 2:00 pm, at Mud Run Golf Course. Tickets are $70 per person or $280 to sign up a foursome. We will have door prizes, proximity contests, and lunch. All proceeds will go directly to scholarships for Kenmore-Garfield Graduates! Next, will be a Dessert Party, from 7:30 pm to 10:00 pm, at 952 Kenmore Boulevard (the Live Music Now building). Tickets are $25 per person and your ticket includes a variety of desserts, (catered by Akron Public Schools culinary students), a drink voucher, and plenty of local entertainment. This will be a fun, casual night out. If you are unable to make it to either of these fundraisers, but would like to make a donation to this scholarship fund, please mail your donation to: ATTN: Akron Promise, Kenmore-Garfield High School, 2140 13th Street SW, Akron, OH 44314. 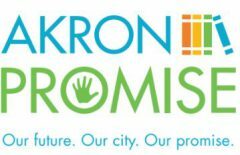 Akron Promise will continue their efforts to shape a community involved culture of education which includes providing tuition free paths to post secondary degrees and certificates for all students in Akron. For more information and/or to purchase tickets please visit our website at www.akronpromise.org, contact us on Facebook, or via e-mail. Previous Previous post: Akron Promise Announces Scholarship fundraisers!